If you need lab or diagnostic tests, tell your doctor you choose Fort Loudoun Medical Center for excellent care close to home. There’s no need to drive to Knoxville when your community hospital has full capabilities that combine state-of-the-art medical technology with personalized care. As a member of Covenant Health, Fort Loudoun Medical Center holds the highest standards. Our comprehensive array of services includes a full-service Clinical Laboratory, Digital Mammograms, High-Definition MRI scans, CT services, Echocardiography, Vascular Flo-Lab, and the most advanced Nuclear Medicine technology in the region. Your results are quickly transmitted back to your physician. You do not have to leave town for care. Choose quality care close by. Insist on Fort Loudoun Medical Center. For more information call (865) 271-6000. 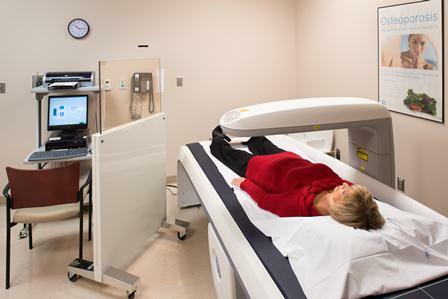 Fort Loudoun Medical Center is the only hospital in the region to offer the GE INFINIA™ HAWKEYE®, a revolutionary new combined nuclear medicine/CT system that collects both anatomical and biological information during a single exam. 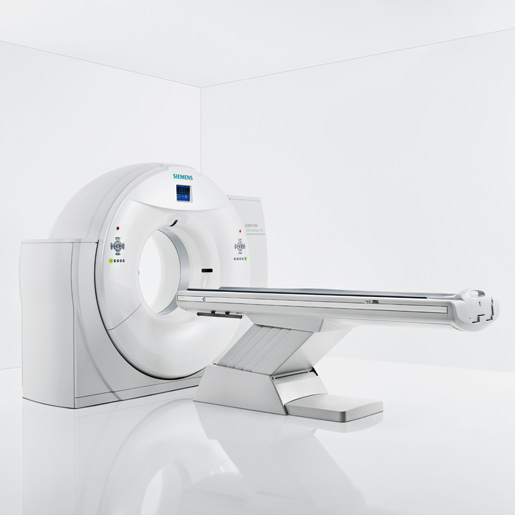 The Hawkeye’s integrated CT solution, first pioneered by GE in 1999, harnesses the power of GE’s exclusive Hawkeye single photon emission computed tomography (SPECT)/CT imaging to accurately detect and pinpoint disease. The new system delivers unprecedented image resolution and reconstruction. The Hawkeye’s unmatched SPECT images focus on metabolic abnormalities that are present earlier than the anatomical changes otherwise seen with CT alone. This image quality is important, as physicians are able to make more accurate assessments of disease states and prescribe proper therapy methods for patients resulting in better patient care. 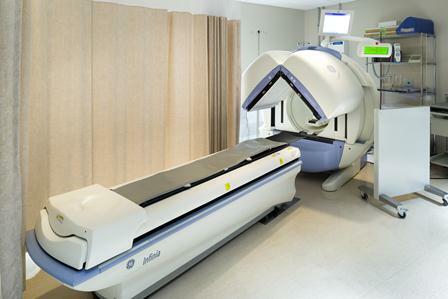 With our state-of-the-art MRI scanner, we offer various types of body imaging. 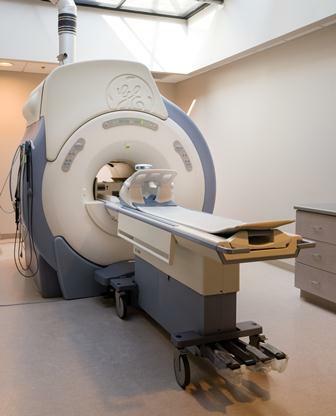 Because magnetic resonance imaging – or MRI – can give such clear pictures, it is the most sensitive exam for many problems. For instance, an MRI often is used to diagnose sports injuries. Thanks to its precision, doctors can detect tears in tissue, tumors, swelling, and problems with joints and bones. Computed tomography (or CT) scans came on the scene in the late 1960s. Sometimes they’re called computerized axial tomography (CAT) scans. They combine the power of X-rays and computers – meaning that doctors can see a patient’s internal anatomy without surgery. These scans reveal bone and soft tissues, including organs, muscles and tumors. CT greatly helps doctors with diagnosis, surgery and treatment. For example, in radiation therapy, the right dose for a patient depends on knowing the precise density, size and location of a tumor. Doctors at Fort Loudoun Medical Center use ultrasound in the Women’s Services Department, for heart patients, and to obtain images of the abdomen and blood vessels. 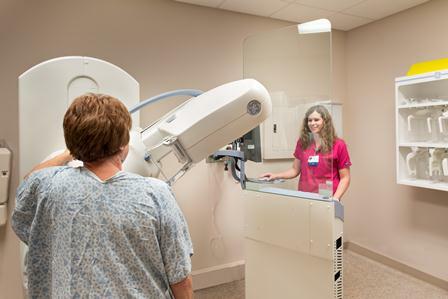 We use the latest in digital mammography technology to obtain clearer images for proper diagnosis. The user-friendly design of our equipment means greater comfort for women while receiving their breast cancer screening and diagnosis. This technology cuts scan time in half, allowing patients to be seen quickly. Bone densitometry equipment is available in detecting subtle bone changes such as osteoporosis. The diagnostic information is faster and more accurate than past procedures. This comes at a time when medical specialists are reporting new treatments that may help patients regenerate bone mass – and partially reverse the effects of osteoporosis. Our technology also provides detection for advanced hip and vertebral problems in men and women. 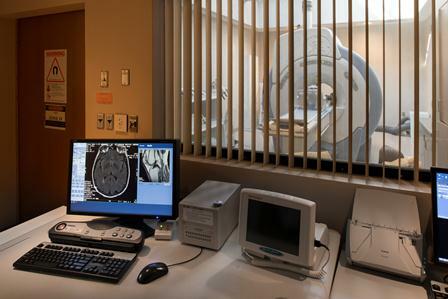 Fort Loudoun Medical Center’s diagnostic imaging also includes nuclear medicine for heart, cancer and fracture scans. This tool often spots abnormalities early in a disease’s progression. It also provides a way to gather information that otherwise would be unavailable or require surgery or more expensive diagnostic tests. Nuclear medicine specialists use safe, painless techniques to get body images and treat disease. Patients ingest small amounts of radioactive materials (radiopharmaceuticals). Special cameras can pick up the images and send pictures to computers. In treatment, the radiopharmaceuticals go directly to the organ being healed. This allows for great precision. PACS makes high-quality MRI, CT, X-ray and ultrasound pictures immediately available by computer. That means doctors can readily view any images the patient has had taken at Fort Loudoun Medical Center and other locations in the Covenant Health system. Patients no longer need to carry X-rays from place to place. In addition, PACS gives such clear images that doctors believe it results in a better, more accurate diagnosis.